Chunghi Choo says of her work, “I like to see simplicity, harmony, and grace. I would like each piece to appear sensuous and celebratory, a pleasure to use and a pleasure to view.” In Choo’s Decanter, which references traditional tableware, we observe such harmony through the dialogue between surface and form. The reflective qualities of silver paired with the graceful curves of the decanter recall silver in its molten form and produce a sensuous work that begs to be held. Choo works without boundaries and explores the medium of metal through a variety of processes. 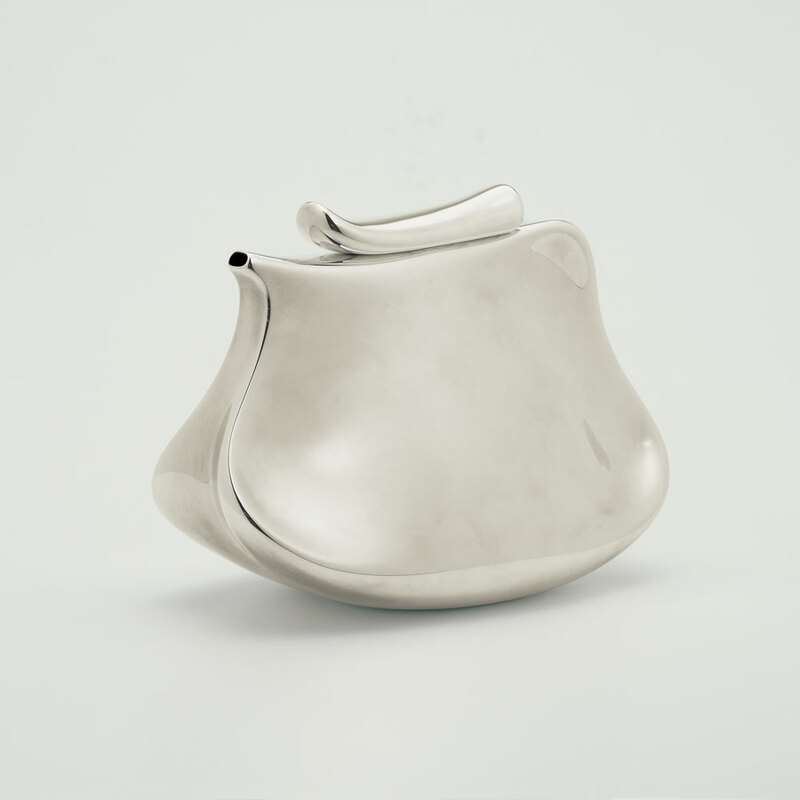 Decanter is the result of her experiments with electroforming, a highly technical and time-consuming process. However difficult, the electroforming process affords Choo limitless possibilities and freedom in the forms her work can take. Although a skilled metalsmith, Choo does not limit herself to metalwork and creates innovative objects in a wide range of media that are technically and visually stunning.